A sliding T bevel is an adjustable gauge for setting and transferring angles. 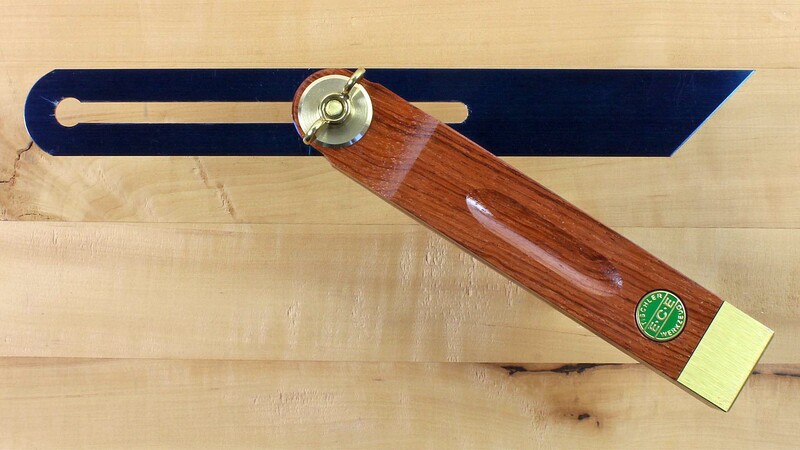 The handle of our sliding bevels is made of wood and is connected to a steel blade. 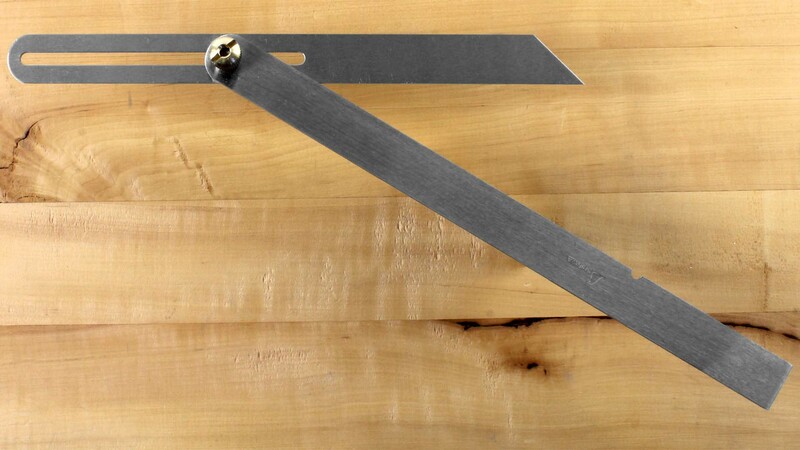 The blade can be locked at any angle by loosening or tightening a thumbscrew or wing nut. CROWN Sliding Bevels Bamboo composite, brass, hardened steel - these are the materials used by the small CROWN factory in Sheffield to make their pleasing and well put together bevels. 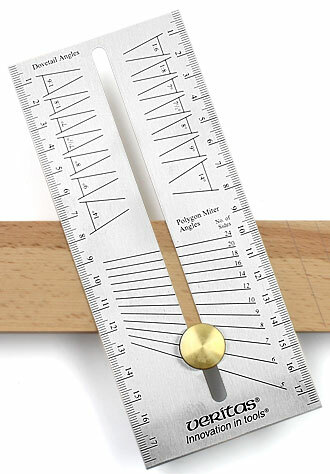 The measurements given relate to the length of the steel blade. 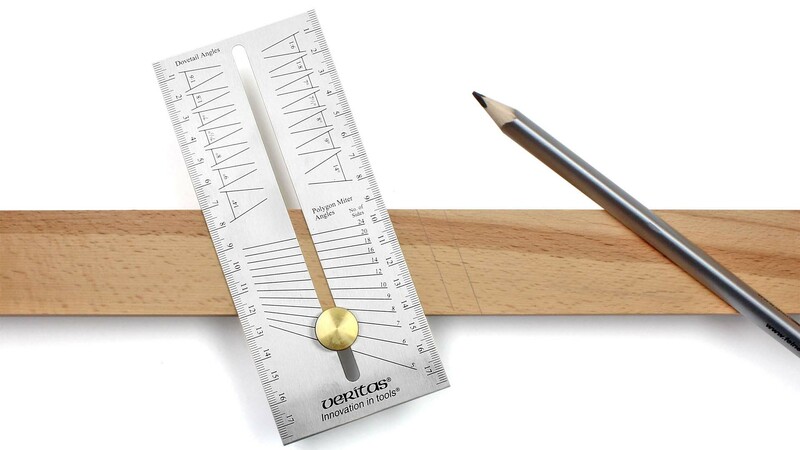 ECE Precision Sliding Bevels Precision bevels made by ECE have a U-shaped brass profile all round them to protect against the sort of damage that can lead to inaccuracy. Blue steel blade and rosewood handle. 250 mm This item we ship only within the European Union! 300 mm This item we ship only within the European Union! SHINWA Sliding Bevel The handle is made out of solid aluminium and the blade is steel. The blade is adjusted by a thumbscrew at the back of the handle. 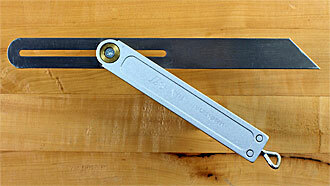 SHINWA Sliding Bevels, Japanese Type These bevels are extremely flat and fit into any tool box. 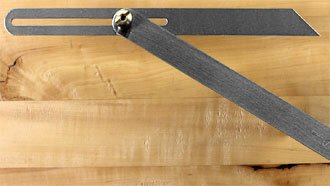 They feature a steel handle and blade as well as a brass adjustment screw. ECE Wooden Sliding Bevel Very recommended for larger workpieces, hornbeam is oiled. 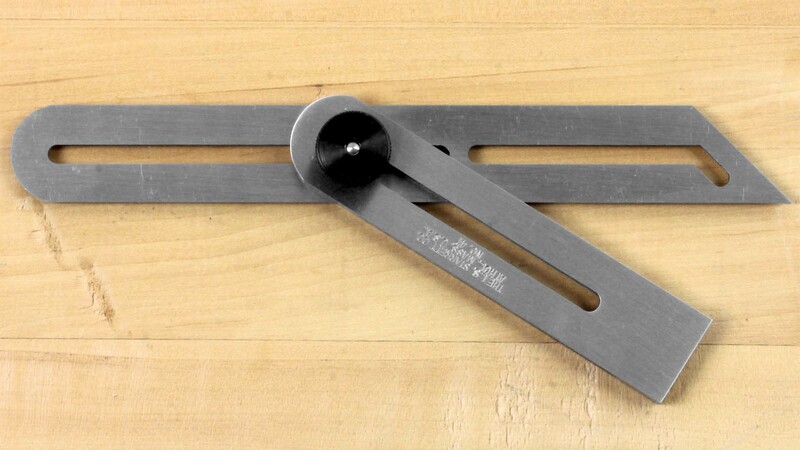 STARRETT Universal Sliding Bevel This universal bevel has both offset and straight slots in the blade, in combination with straight slots in the stock that asllow for a wide variety of adjustment and angle settings that are impossible to obtain with many ordinary bevels. The stock is only 5 mm thick and much more flat than an aordinary bevel. Made of steel. 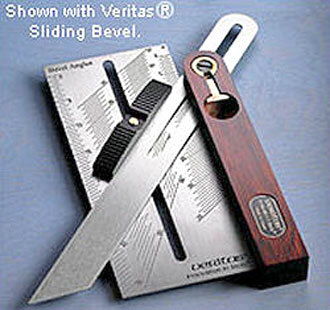 A sliding bevel is an excellent tool for transferring angles but not for reading them. This bevel setter lets you set specific angles (from 0 ° to 60 ° in 1/2 ° increments) on a sliding bevel or a workpiece as well as read angles already set. Both functions are useful for dovetailing, for machine set-up, for polygon work, or for accurately fitting a piece in a restricted location. 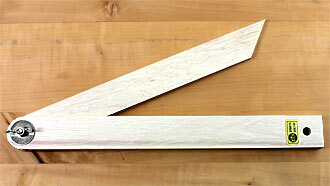 Common dovetail and polygon angles are highlighted on the reverse side. Dovetail Markers moved. Click here! Dovetail Saw Guide, Right Angle Saw Guide moved. Click here! Miter Saw Guides, Multi-Angle Saw Guides moved. Click here!